Sadly, things didn’t work out between the grime MC and The Pengest Munch star. 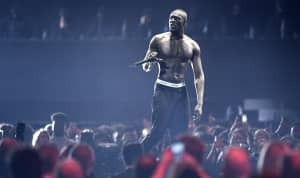 Stormzy's "Big For Your Boots" video blew up after it came out last week. The video was shot all around London, and features a squad of boss local ladies too. However, one specific scene almost ended up looking pretty different. Speaking to The FADER in a new interview, director Daps explained that his first choice cameo was supposed to be YouTube's finest food critic, The Chicken Connoisseur. Naturally he would have appeared in the scene shot in the fried chicken restaurant, but things weren't to be. "I feel like [Morley’s is] one of the most popular places to get late-night food or a snack," Daps said of the south London establishment featured in the video. "What’s funny is that I actually wanted The Chicken Connoisseur to be in that shot, but it didn’t work out. It would’ve been funny, but in the end, it’s actually his girlfriend in there [Maya Jama]." Read the full interview with Daps, who also made the "Bad And Boujee" video for Migos, here. 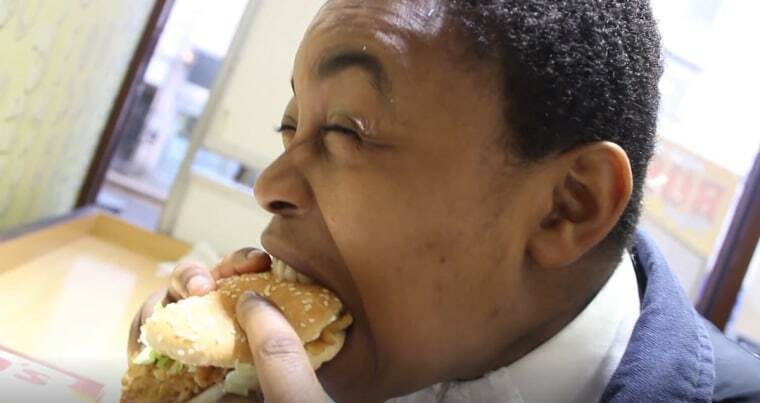 The FADER has reached out to The Chicken Connoisseur for comment.